These components are under constant tension when the door is closed. During opening, the torsion spring transfers force to them via the drums. This is how the door is lifted. The cables require careful check in the first place. It should cover their entire length. Fraying and cuts are the main troubling signs. Even the tiniest cuts are a problem because they increase the risk of breaking immensely. Frayed cables and those with cuts should be replaced as soon as possible. It is important for the check to confirm that the cables are in their right position. If they are not properly adjusted, they may go off the drums. The final step is lubrication maintenance. The cable sections and the bottom bracket button will benefit from a small amount of light non-sticky lubricant. 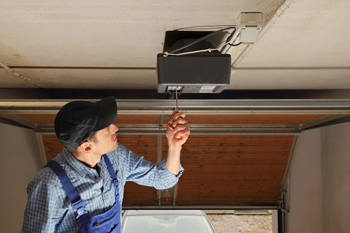 Should this be done at every garage door maintenance session? The need for adjustment is determined with the help of a special testing. The opener should be disconnected. The next step involves lifting the door by hand until it is halfway open and letting go. When the tension is just right, the door will stay in place and the spring won’t need any adjustment. If the tension is higher than the optimal, the door will literally fly up. If it is lower, the unit will drop down. 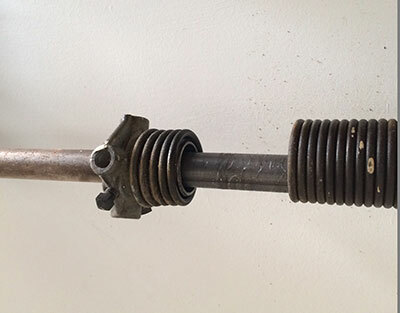 With careful reduction or increase of the tension, the spring will start working normally. 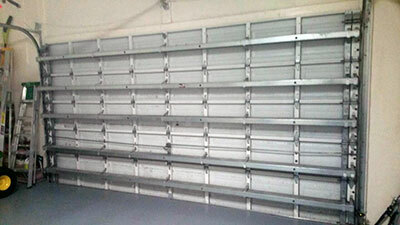 The door will open and close smoothly at the right speed without extensive wearing of the hardware parts.